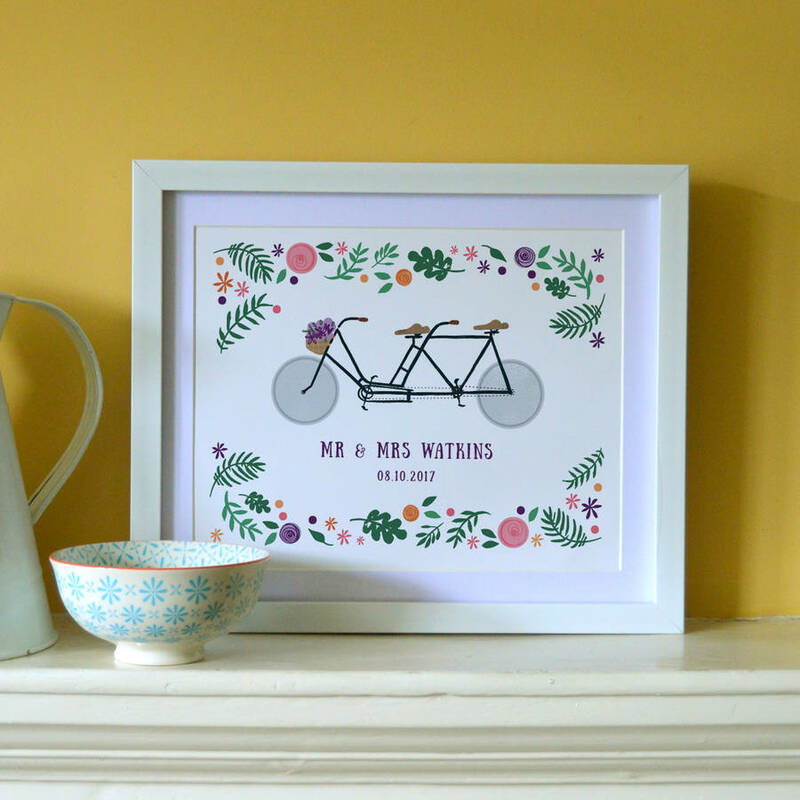 Personalised with names and a special date to remember the Dearly Beloved 'Bike Lovers' illustrated print features quirky drawing of a bicycle made for two! A wonderful personalised gift to celebrate weddings, engagements, Valentine's Day presents or even just a treat to show someone how special they are. 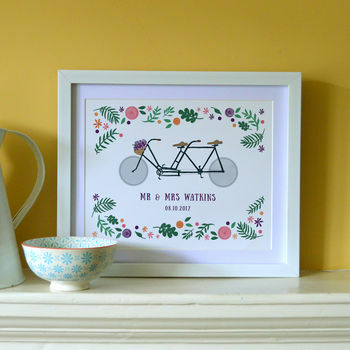 Each illustrated print arrives sized 8 x 10 inches unframed (however if you have a frame in mind that's a different size just let us know and we can print to your specifications).